The world’s largest manager of multi-managed CTA funds, with offices in Dublin and New York. The existing identity lacked any distinction and didn’t convey this high level positioning. For the new brand identity, we chose the skylark, a bird native to Ireland and a symbol of prosperity to represent the organisation. The skylark is silver foiled in print, navy in digital or white reversed out of a contemporary colour palette. The colour palette is also used to distinguish product categories online – Red for Mutual Funds, Blue for Customised Solutions and Dark Navy for the more high-end Private Placement Funds. 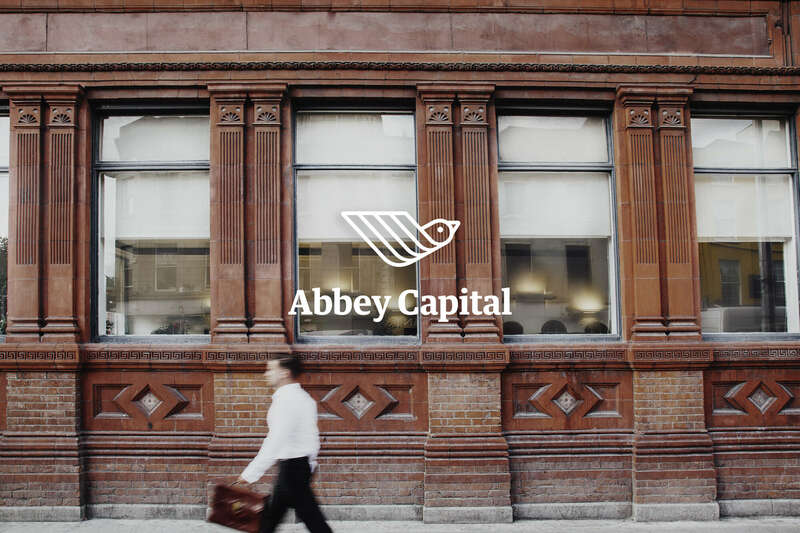 Private Placement Funds also required a secure login system for Abbey Capital's clients. The identity uses diagonal shapes extracted from the symbol to create strong graphic language throughout, enforcing their multi-manager approach to investment with a contemporary colour palette and bold fonts for stand-out. Commissioned photography helps give a sense of the people behind the firm. There is a mix of portraits, more casual shots of their work environment & atmosphere and details of their Georgian Dublin HQ.